Brisbane’s inaugural Matsuri Japanese Festival has been heralded a success by organisers and visitors to the fledgling event. 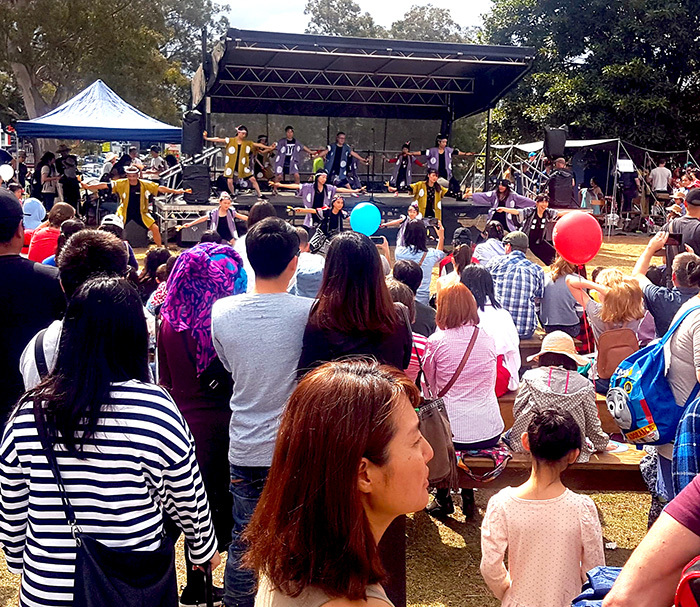 The festival or “matsuri” (which means “festival” in Japanese) took place at the Mount Gravatt Showgrounds on September 8, and was organised by the Brisbane Seinendan Japanese Community. The free event, which was bilingual, drew in thousands of visitors and featured traditional Japanese performances, food, drink, and festival games and activities. Festival co-organiser and Seinendan Japanese Community member, Takayoshi Momose, said the festival’s goal of introducing a bit of Japanese culture to Australians and bringing a little bit of home to Japanese-Australians was easily met. “We are trying to make a solid Japanese community, which can be a strong support for our next generation,” Mr Momose said. Mr Momose said the turnout at the festival had also exceeded the organisers’ expectations. “I believe Matsuri was a big success for the first year,” he said. Australian attendee Casey Waller said she thought the festival was a success and said she enjoyed every minute of it. “The festival was fun, I enjoyed all of the different performances the most,” Ms Waller said. “Even though it rained the crowds never died down,” she said. Ms Waller said she was excited to see a Japanese cultural event on Brisbane’s south side. “Having it in a more local area made it easy to access for me, and with such a strong Japanese community in South Brisbane it made sense to have it close by,” she said. Local Japanese resident Minami Takai said while she felt the event was an outstanding success, she wished it could be held at night so there could be fireworks, as is traditional for matsuri in Japan. “I really enjoyed the games area,” Ms Takai said. Ms Takai said she thought the event achieved its goals. “It reminded me of real Japanese matsuri that frequently went to in my childhood,” she said. 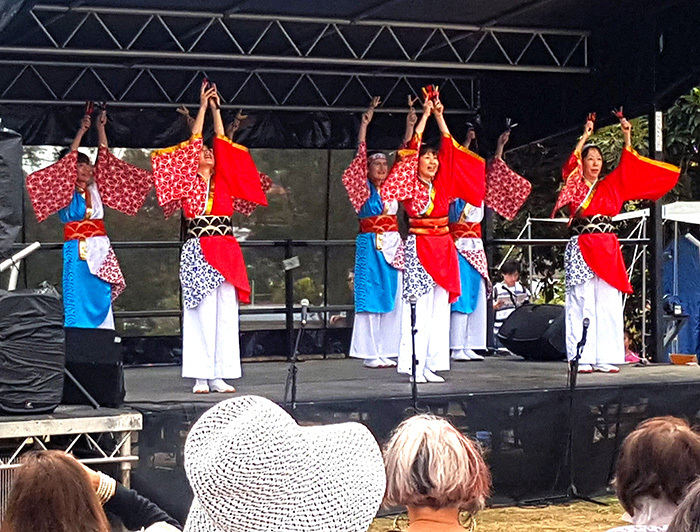 The festival featured performances from groups from around South East Queensland, including the Gold Coast’s Yosakoi Maito dance group and Australia’s Yosakoi Ambassadors (dancers who represent Australia in international Yosakoi events). Other entertainment included a cosplay parade by SMACK UQ Cosplay, displays by the Australian Karate Academy and the Brisbane Ki Aikido Community, and a dance performed by 4EB Japan Wave Radio station. The event also gave attendees the opportunity to dress up in traditional Japanese clothing and take photographs of themselves in the costumes. Another popular feature of the festival was a special games area, where typical Japanese festival games were played. Some of the games included in this year’s festival were goldfish scooping, yo-yo fishing, super ball scooping, sumou games and go (an abstract strategy board game). Haruka Haboshi, who is a Japanese exchange student at Griffith University, volunteered as a stall keeper in the festival’s games area. Ms Haboshi said the games area was full of guests for the entire day. “It was really fun and interesting, even as staff,” she said. The festival also featured a slight of hand show, an ambulance tour and stalls selling small Japanese items such as paper fans. Organisers plan to hold the event annually and, according to Mr Momose, there is more to be done. “We have received quite a few positive reviews,” he said. For more information on upcoming Japanese cultural events follow the Brisbane Seinendan Japanese Community Facebook page.